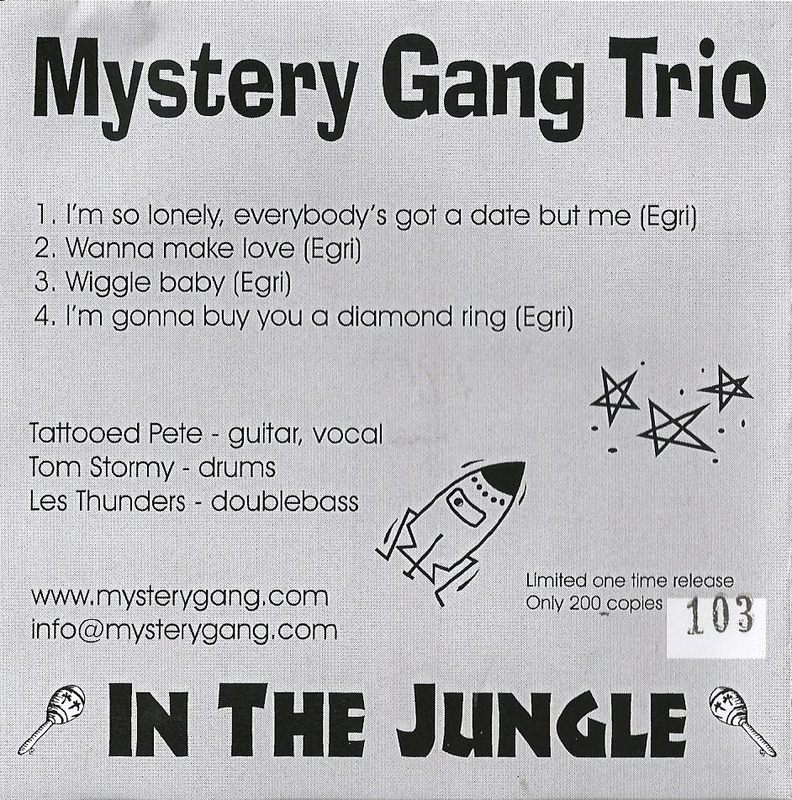 Does anyone have a photo of this cat? 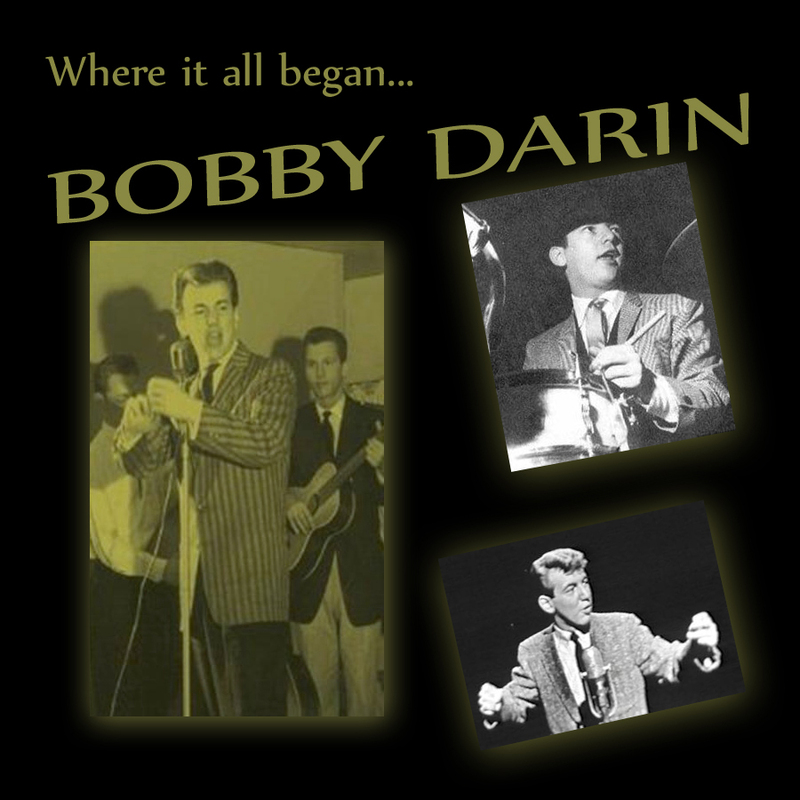 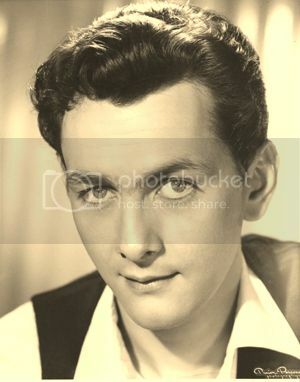 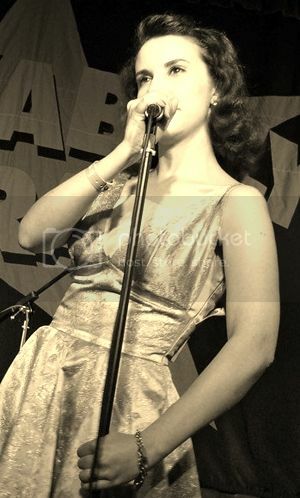 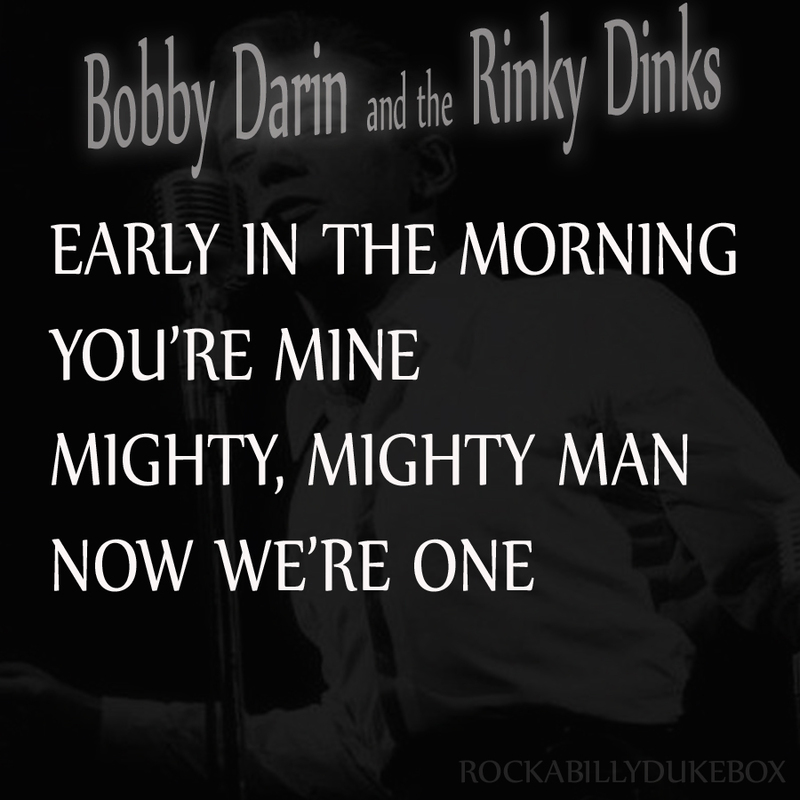 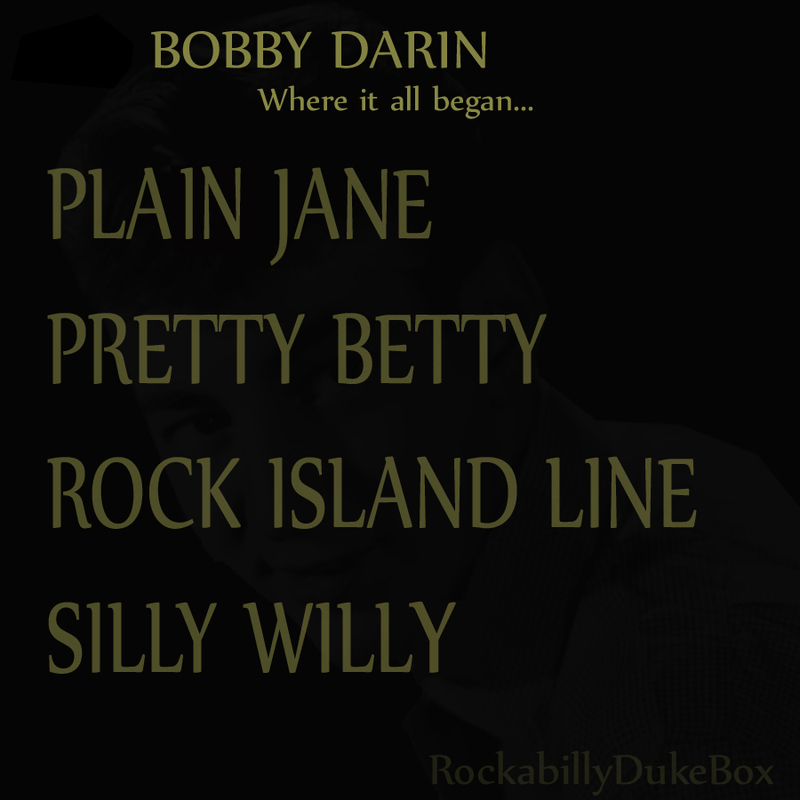 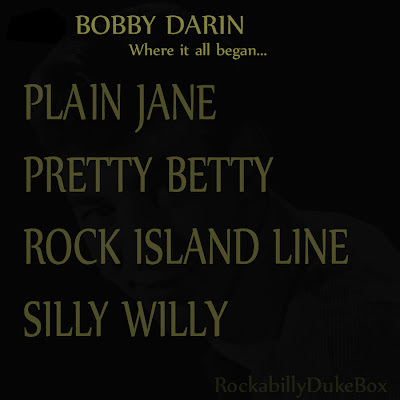 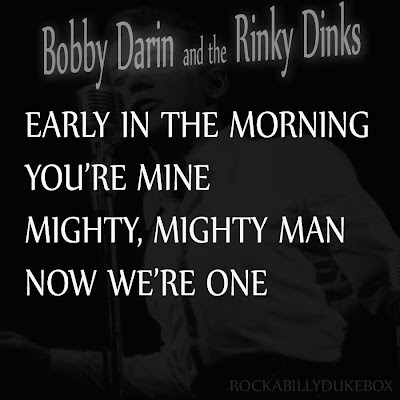 It seems I'm a bit of an early Bobby Darin fan! 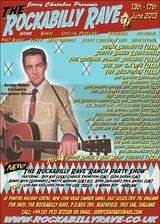 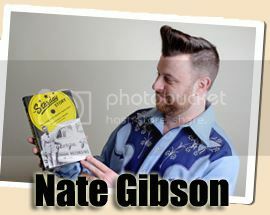 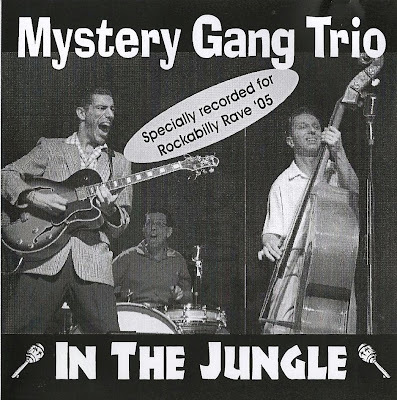 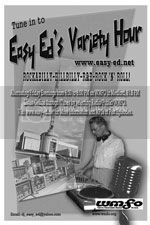 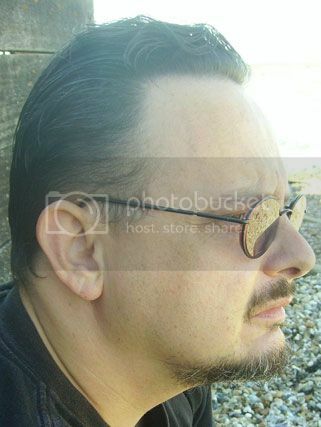 I was eager to get back home and listen to the specially produced release for the 2005 'Rockabilly Rave'. 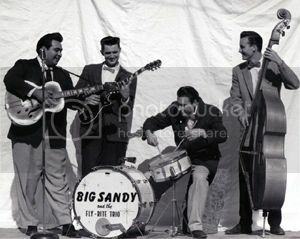 I was a little disappointed to hear that their style had become slightly heavier than before, and they sounded as if they were heading in a different musical direction. 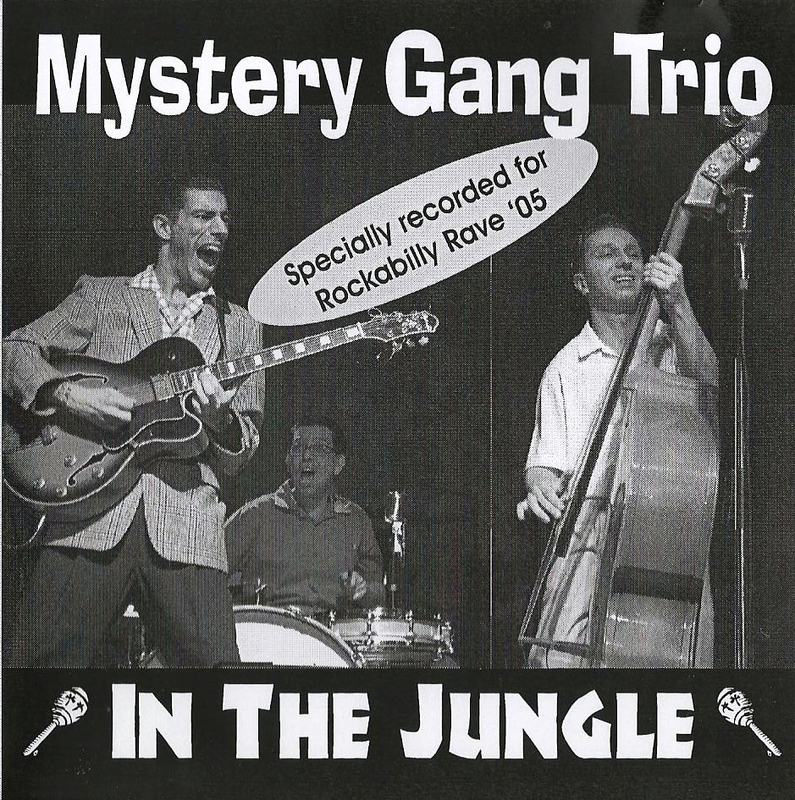 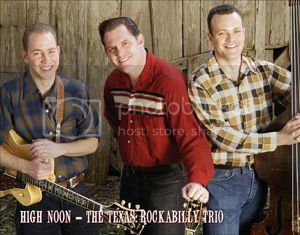 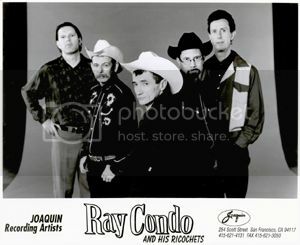 This confused me slightly as I gathered from the C.D's cover that they were trying to promote themselves on the rockabilly scene, and were hoping be asked to play the Rave sometime in the future. 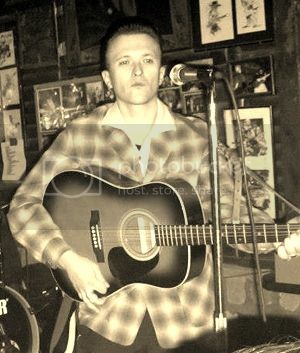 Maybe Jerry was not impressed with what he, or he thought (as I did) that their style was too far off centre to play at the festival, as no performance has occurred! 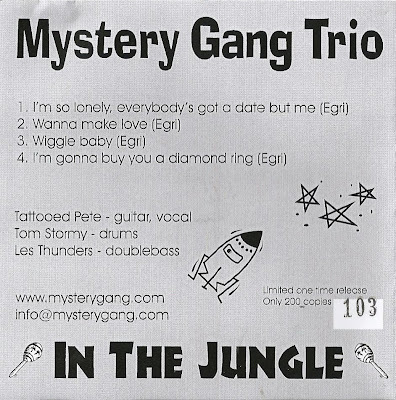 A GREAT COMIC ROCK N ROLL SONG FROM THE GOONS (Peter Sellers, Spike Milligan & Harry Seacombe). 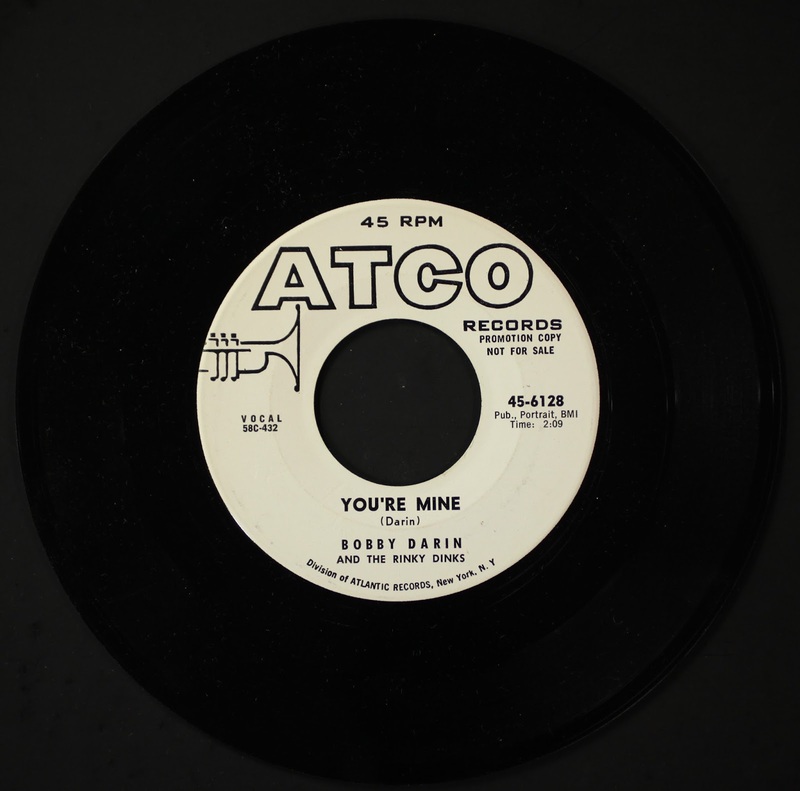 THE B SIDE OF 'THE YING TONG SONG' WHICH CLIMBED THE BRITISH CHARTS IN 1956. 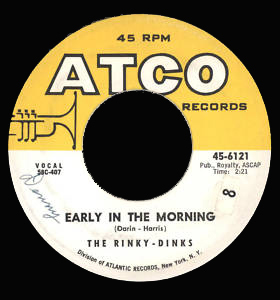 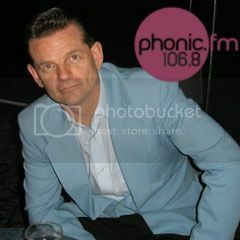 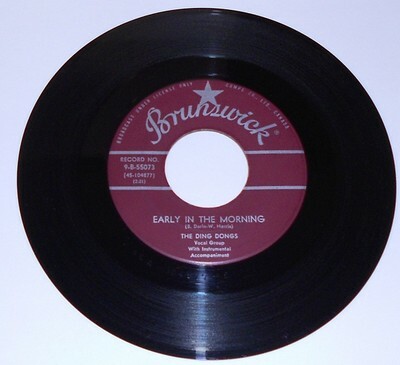 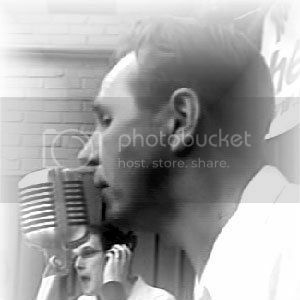 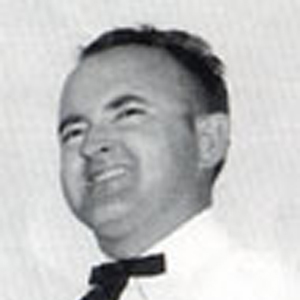 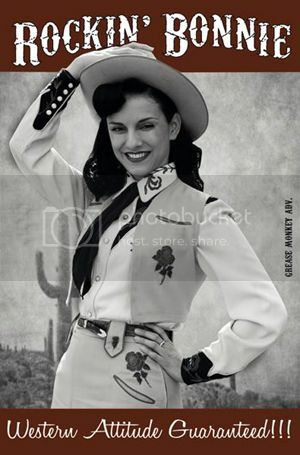 Darin approached Brunswick Records with the song 'Early in the Morning' and Brunswick was very impressed with what they heard. 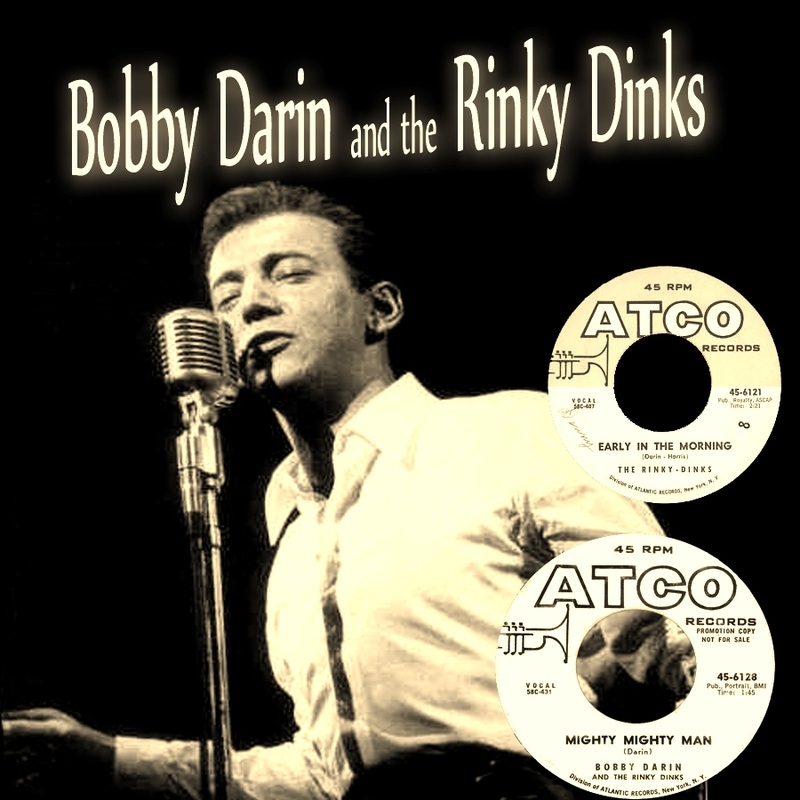 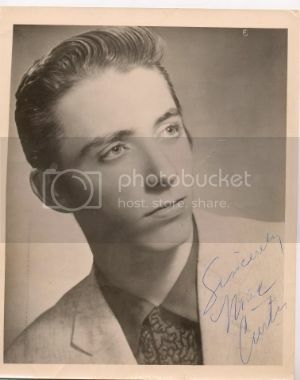 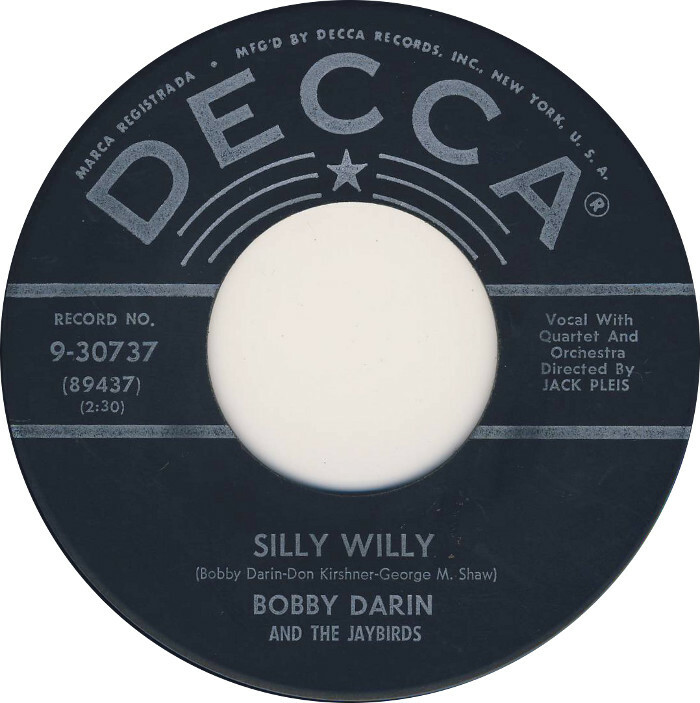 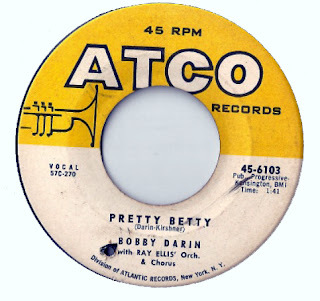 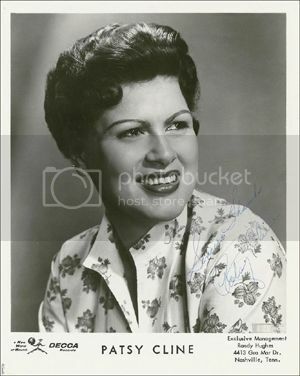 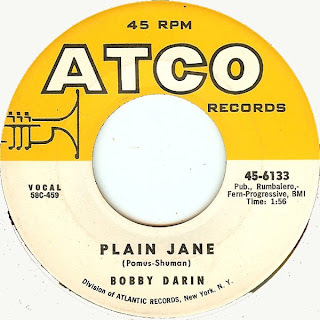 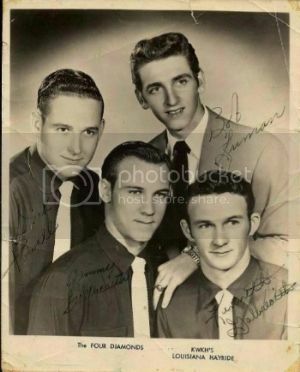 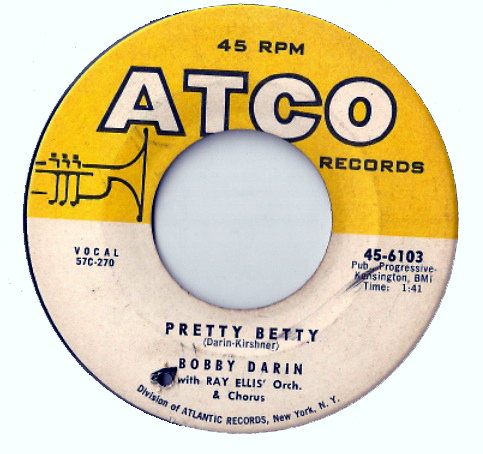 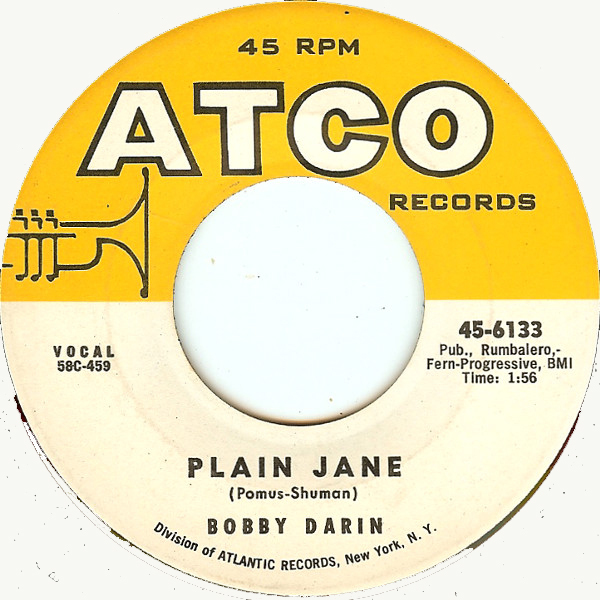 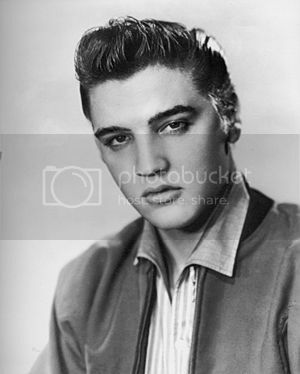 But Darin was still under contract to Atlantic Records' subsidiary label, Atco, so the song was released on Brunswick as being sung by 'The Ding Dongs'. 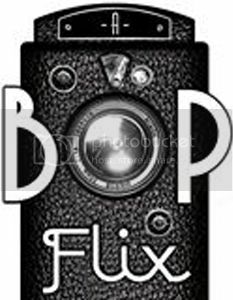 But when New York deejays started playing the record and it became popular, Atco soon discovered something was up and put a stop to the Brunswich record. 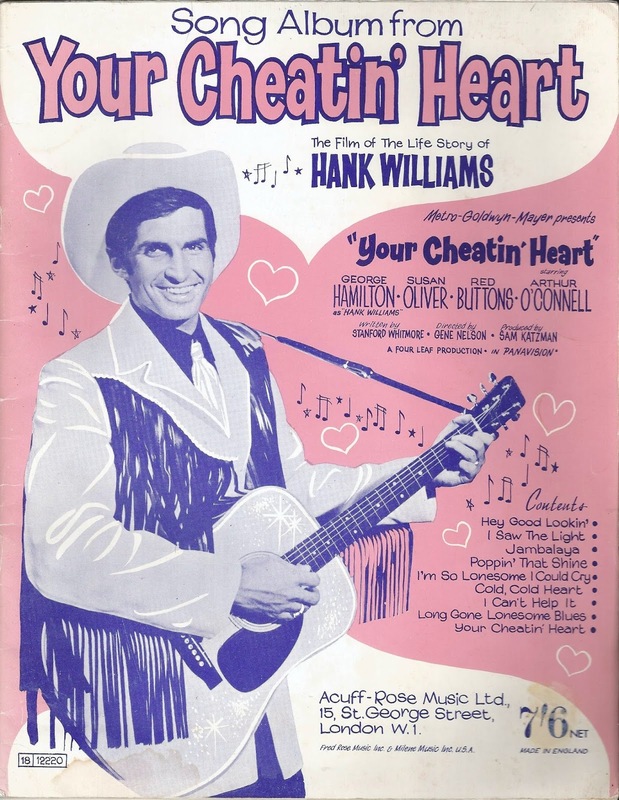 SONGS FROM THE SOUNDTRACK OF THE FILM 'YOUR CHEATIN' HEART', STARRING GEORGE HAMILTON, SUSAN OLIVER AND RED BUTTONS. 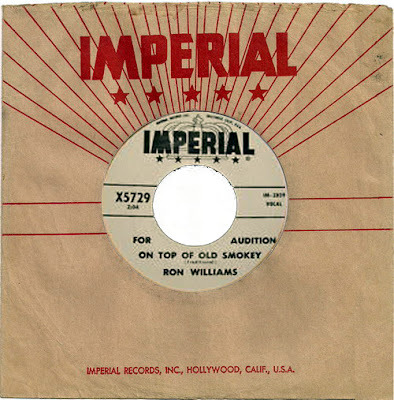 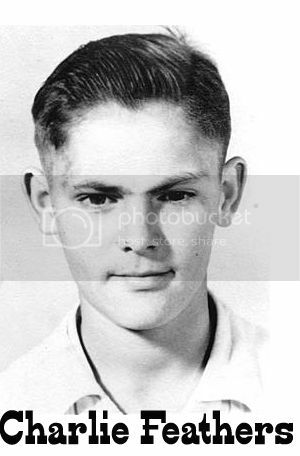 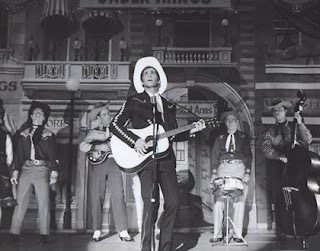 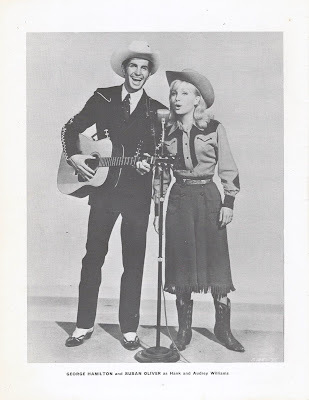 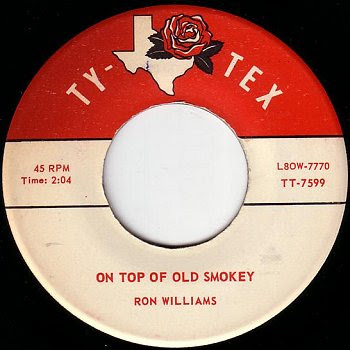 VOCAL PERFORMED BY 15 YEAR OLD HANK WILLIAMS JNR. 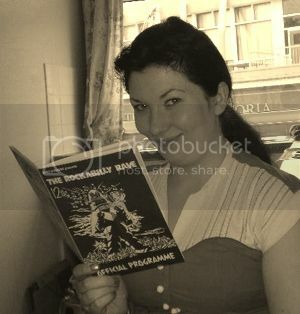 I picked up this booklet up at my local Red Cross shop for 50 pence, a bargain I think. It's the song album from the 1964 film of Hank Williams life. 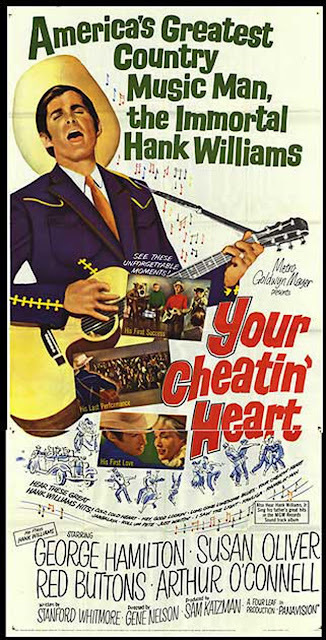 I've still not seen this movie, but I imagine it will be the usual Hollywood version of things he did and did not do. 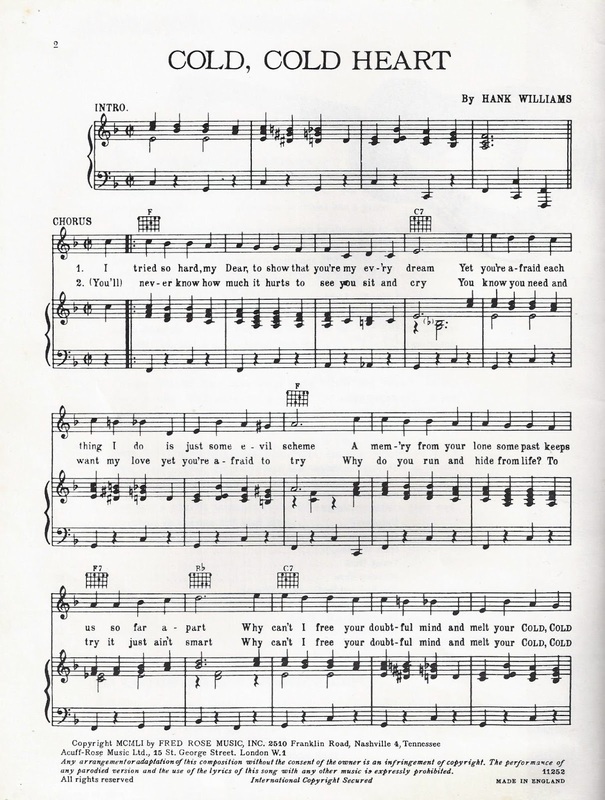 But I am rather pleased I have a copy of this songbook. I have just included the scanned photos and text pages from the book in the download. 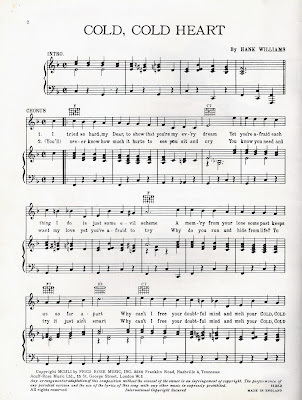 There is music, lyrics and chords of the songs from the film included in the book, if you want scans of those just just ask and I will post them.